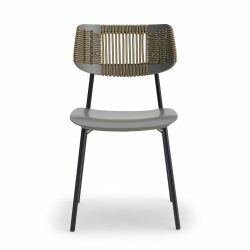 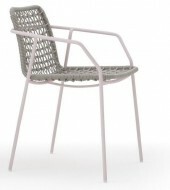 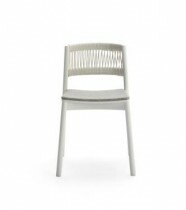 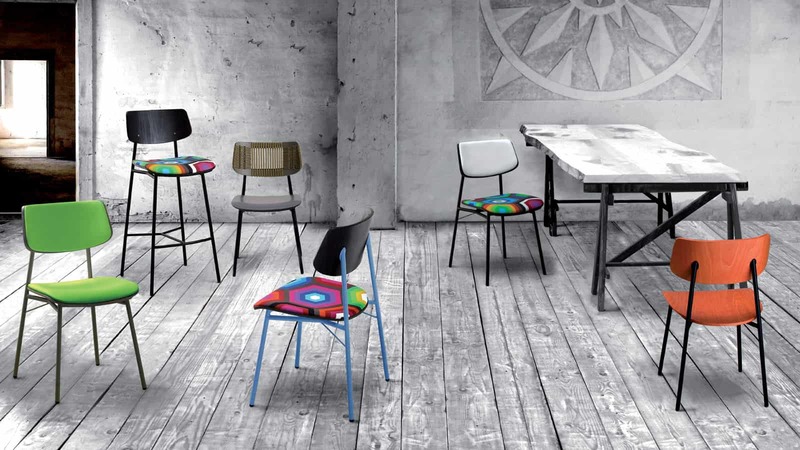 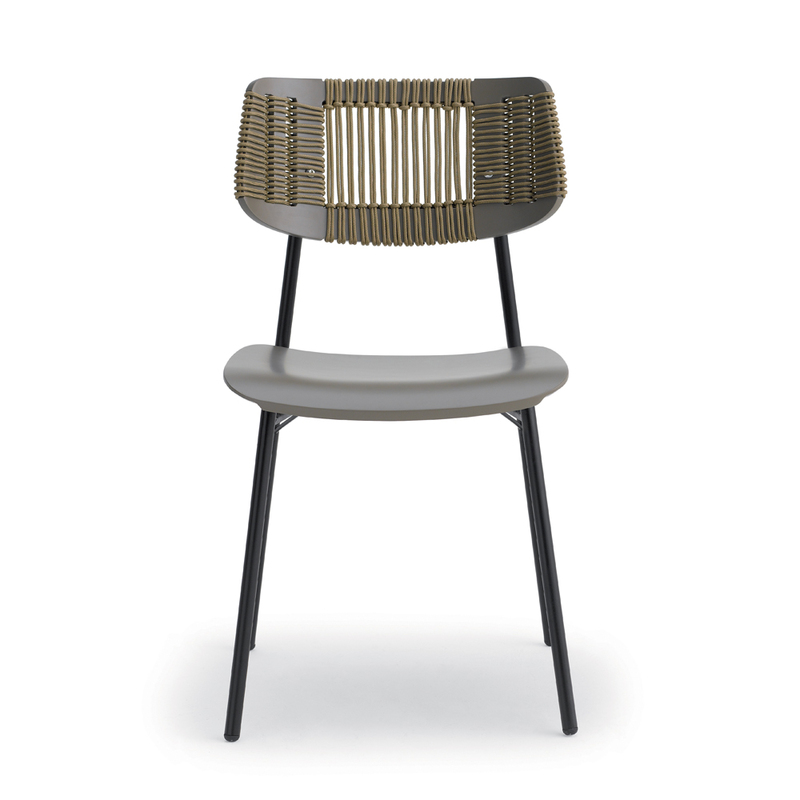 The Meadow Side chair is available in different finishes. 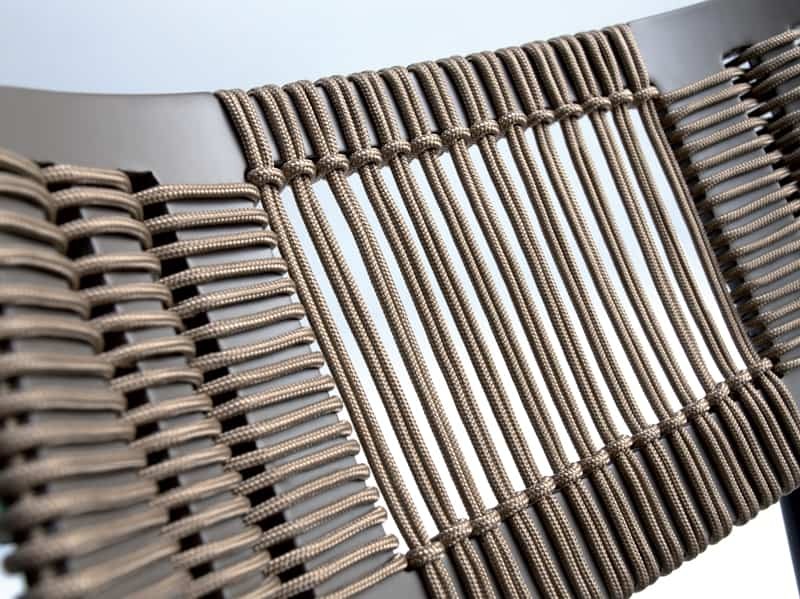 Shown as metal legs in Black, Chrome, White or Aluminium with a Rope Back. 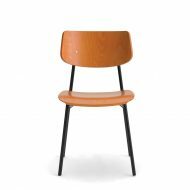 Available in 8 different colours.